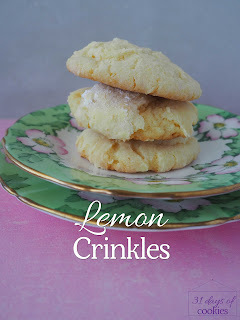 I think lemon is a really underutilised flavour in biscuits these days. Probably because not many backyards have big old lemon trees in them any more (and now that my generation has realised what's missing, it will be years before the trees are big and old again.) Meanwhile, we buy lemons at the supermarket, and don't even bother investing in limes out of season. I chose to make these cookies for me. 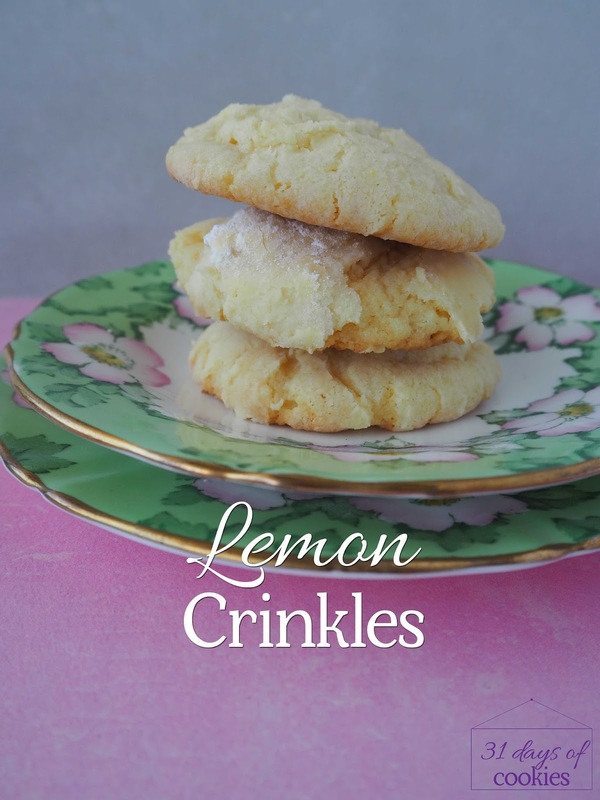 I love a good lemon-flavoured something with my afternoon cup of tea, and these were no exception. 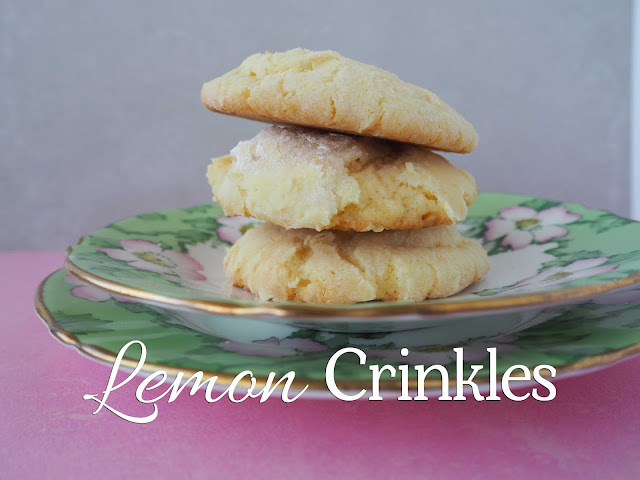 Of course, we've got cookies coming out our ears here, so there's plenty of lemon crinkles left over while the kids devour more exciting flavours. You had me at Lemon; and 'Crinkles' sound just the biscuit for those of us a bit on the wrinkly-crinkly front. 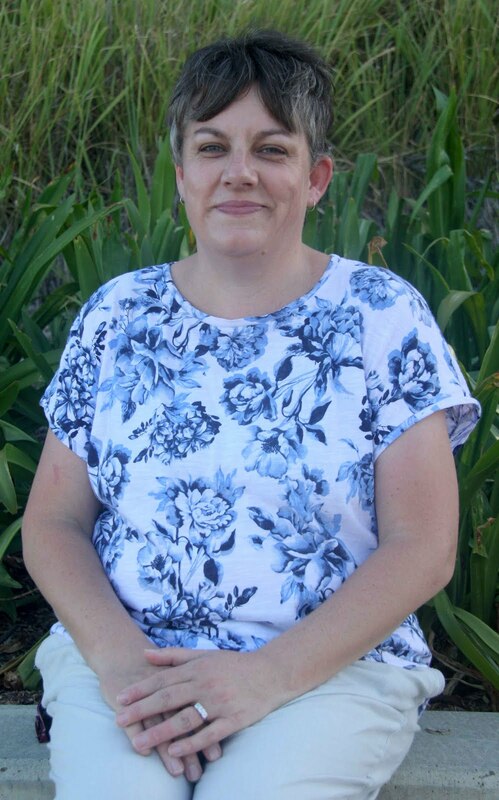 Enjoying your series - thank-you! I love anything lemony, so if I was there I'd be round to help share them! Yum I want some of these cookies. Lemon anything is usually good. Congrats on winning a weekly prize.